Just out in PAPERBACK, in time for Xmas! 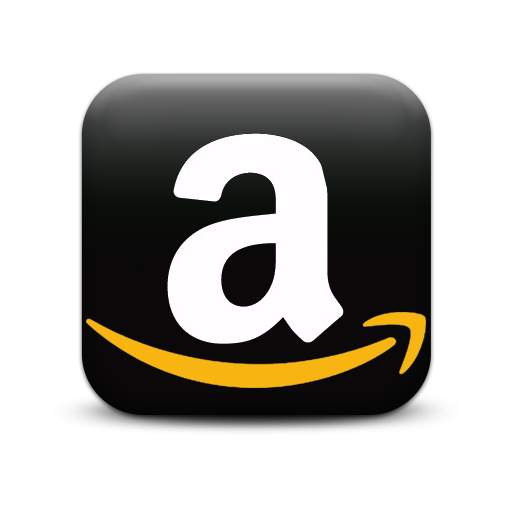 And a bestseller in HARDBACK and KINDLE since 2013. One day I walked into these hills, and discovered their ridges and intervening glens. I was lured to an adventure in which you too can revel. 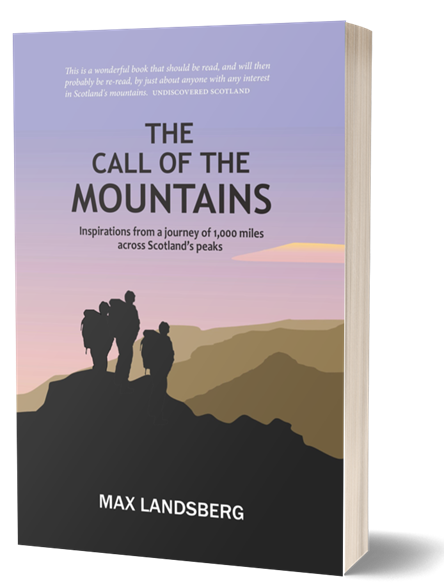 This book shows you how to experience the magic of Scotland's outstanding mountainscapes, in person or from your armchair. ... and perhaps try a few summits yourself or with the kids! 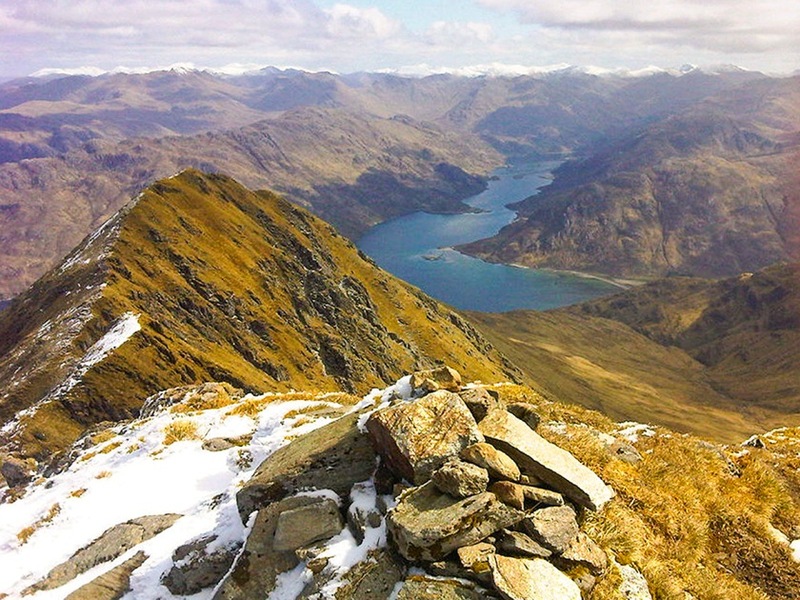 Scotland's 282 Munros (mountains of 3,000 feet or higher) may not be the highest in the world, but they are certainly amongst the most enchanting and awe-inspiring. Born of primordial crust; rifted and faulted by earthquake and then gouged and shattered by ice; these mountains were once home to the Gaels and their kings - and now are haunted by their spirits and the stag. Across the swooping moor, then through the craggy outcrops - guided sometimes by the silver chuckling burn and sometimes by the spatey cascade - we reach at last the grand summits above. En route you will find tales of drama and humour, and bite-sized servings of history, botany, and geology, to feed the interested mind. Three types of illustration accompany the text: "Treasure Island"-style maps, coloured plates, and pen-and-ink drawings. 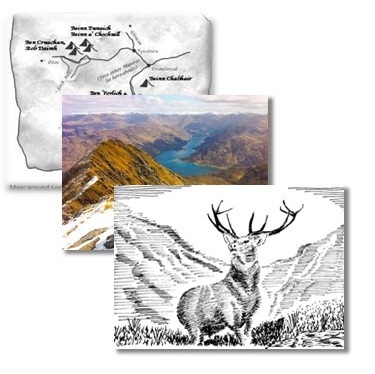 "... how a novice hillwalker develops into an experienced Munroist. Along the way his passion for the hills shines through his writing." "There’s no shortage of Munro books but (Max's book) brings something different ... and it works rather well"
Available from Luath Press, Amazon, and other retailers in paperback by Nov 30 in time for Christmas, and a best-seller in hardback and Kindle since 2013 !